William Branham believed that God wrote "three Bibles": the Zodiac, the Pyramids and the written Bible that we are familiar with. But does this make any sense? This ordering is true for Western and Indian astrology. The Bible actually traces all false religion back to Babylon. From Babylon, you can trace it back to Babel. They rejected the true God, developed their false gods, and the Babylonian mystery cults come out of that, spreading all over the world. When you get into the Book of Revelation, at the very end of human history, at the time of the Tribulation, just before the return of Jesus Christ, we read in the 17th chapter of Revelation, in verse 5, “Babylon the great, the mother of harlots and of the abominations of the earth.” Babylon is seen as the mother of all religious abominations. Abominations. Illustration, you can even trace the Roman Catholic mother cult, Mary, mother cult, back to the mother cult of Babylonian mystery religions, not back to the New Testament. And even in the day of Ezekiel, pagan false teachers were worshipping the queen of heaven. That has never been Mary. That is … well, it goes by a number of names, Ashteroth, Simmaramus, Isis, way back in the Babylonian cults. What kind of religion was this that they had developed with this tower? Well, we don’t know. But there’s some interesting thought about it. My friend, Dr. Jim Boice, who preached here a number of occasions, is now with the Lord, and we miss him greatly, came to the conclusion that this religion was probably the start of astrology, the zodiac, which has surely been connected with Babylon and may go back to Babel. He writes this: “Turn to any book on astrology and you will find that it was the Chaldeans,” another name for the inhabitants of Babylon, “who first developed the zodiac by dividing the sky into sections and giving meanings to each on the basis of the stars that are found there. A person’s destiny is said to be determined by whatever section or sign he is born under.” You’re aware of that. Taurus, Gemini, whatever. You can trace all of this fascinating study of the zodiac back to Babylon through Egypt and very likely, Boice believes, back to the original Babel. By the time the Jews, after 400 years in Egypt, remember, left, they had been greatly influenced by astrology. Remember, now, astrology was invented by Babylonian God-rejecters, Babylonian pagans. It’s a part of their false system. But when the Israelites left Egypt, because the tremendous amount of influence had been brought to bear upon them to believe in the stars, there were a series of warnings. In Leviticus 19:31, “Do not turn to mediums or spiritists,” and that’s pretty general. It would include those who read the stars. “Do not seek them out to be defiled by them. I am the Lord your God.” Don’t go near those deceivers. Verse 14, “Those nations, which you shall dispossess, listen to those who practice witchcraft and to diviners, but as for you, the Lord your God has not allowed you to do so.” Again, warning about this. Later on, and this will be more familiar to you, in the Book of Daniel, there are a number of references to this. In Daniel 1:20, it says, “As for every matter of wisdom and understanding about which the king consulted them,” this is now in Babylon, or Chaldea, “he,” that is the king’s servant, found Daniel and his friends “ten times better than all the magicians and conjurers,” astrologers. Some of your Bibles will say “astrologers” there. Astrologers are mentioned again with magicians in 2:2. They’re mentioned again in 2:10. They’re mentioned again in 2:27. They’re mentioned again in chapter 4, chapter 5, I think three times. So astrology, having its roots perhaps at Babel, finds its way to Babylon, finds its way to Egypt, infects, to some degree, the people of Israel, as it continues its influence around the world. Boice goes on to say, “The interesting thing about these Biblical denunciations of astrology is that astrology is identified with demonism or Satanism in the sense that Satan and his hosts were actually being worshipped in the guise of the signs and planets.” You have to remember that. ...[but that the signs of the Zodiac] signify the great story of creation and redemption is impossible. And yet that has been a popular idea, a very popular idea, that you can read the gospel in the stars. Have you heard that? There’s a whole book about it, written by a prominent evangelical. To me, that’s ludicrous. This popular writer says, “The Bible is God’s little book and the stars are God’s big book.” God never wrote the gospel in the stars. The heavens declare not the gospel. The heavens declare the glory of God. Why in the world … why would we borrow a pagan concoction and somehow invest it with the gospel? Christian astrology. What a terrible perversion. Finding the gospel in the stars is fantasy. Worse than that, it’s borrowing from paganism. But that’s another sermon. God's wrote three Bibles: one, the Zodiac, one in the pyramids, one on paper. Now, He's writing His first, the Zodiac. It starts off with a virgin, ends up with Leo the lion: Jesus' first coming and His second coming. If we had time to run down through it, you'd see it. And then, God wrote three Bibles. God does everything in threes. He wrote three Bibles. He had three comings of Christ. There is three dispensations of grace. There's three persons in the Godhead, three manifestations of the one Person in the Godhead, rather. And all those things. See? God wrote three Bibles. One of them was the Zodiac in the skies. That's the first Bible. Man was to look up to realize that God is from above. Follow the Zodiac; did you ever study it? It even gives every age, even the cancer age. It gives the beginning, the birth—the birth of Christ. What is the first figure in the Zodiac? The virgin. What's the last figure? Leo the lion. The first coming and the second coming of Christ, all of it is written in there. Then the next Bible was written, was in stone, called pyramids. God wrote in the pyramids. If you study them, watch the ancient histories and wars, how they were built before the antediluvian destruction. The third was wrote on paper, the Bible, for the great, smart intellectual world to come. Now, as God has moved down through the age, we're at Leo the lion. We're at the capping of the pyramid. We're in the Book of the Revelations at the last chapter. Science says we're three minutes before midnight. Oh, think of where we're at. Now, I don't say this now… I don't want you to quote this back out among your people, but you see, everything in the Bible travels in three—a three making one. Now, like in the Bible, it is written in here that… You know God wrote three Bibles. Do you believe that? He wrote one in the sky, one in the pyramid, the other one on paper. Now, we know that they make a ouija board out of the pyramid; they make a ouija board out of the Zodiac; they make a ouija board out of the Bible. But that don't hinder It's truth; It's truths are just exactly the same. Now, if you notice in the Zodiac, what's the first figure in the Zodiac? Is the virgin. What's the last figure in the Zodiac? Leo the lion. The first coming and the second coming of Christ: He come first by the virgin, comes the next the lion of the tribe of Juda. Then the cross fishes, the cancer age that we're now in, just before that time takes place. We watch the pyramid. It was built like this. But you notice, the headstone never was put on the pyramid. Did you ever think of that? You got a dollar bill in your pocket? Look what it says: the Great Seal, the pyramid. And look above it, the stone. The headstone never was found. Why? The headstone was rejected—Christ. Now notice on this, that Christ. God wrote three Bibles. The first Bible was in the sky, called the zodiac. Now, if you don't know the Book of Job, just forget about it, 'cause, because Job is the one explains it, how that he looked up and he named those things in the sky. And notice, in the zodiac, what did it start off with? The first thing in the zodiac is the virgin. The last thing in the zodiac is Leo the lion. The first coming of Christ, through the virgin. The second Coming, Leo the lion, the Lion of the tribe of Juda. Then Enoch completed in his day, or back in that day, the pyramid. And it would… Course, we haven't got time to background it and show how that that pyramid come up through the chambers and so forth. It speaks right straight to the end time now. They're in the king's chamber now, by the measurement. But the headstone never was put on the pyramid. And that sets perfect, architecturally, or—or masonry. Until, even a… the little thin razor blade… They don't know how they ever built it, don't understand it, could ever a razor blade slice along the sides where that mortar should be. And there's no mortar in it. It's just perfected, put together. Now, God made three Bibles. Now, there's a pyramid teaching that's nonsense, but there's a genuine pyramid. See? Notice. Now, God, first Bible… He made three. There have to be everything in a three. Jesus comes three times. Come, once, to redeem His Bride; next time, to get His Bride; next time, with His Bride. See? Now notice how beautiful. See? And in this pyramid was seven steps, and then the king's chamber. And we're in the seventh church age, before the King takes His Throne. And, remember, the pyramid never did have a capstone on it. 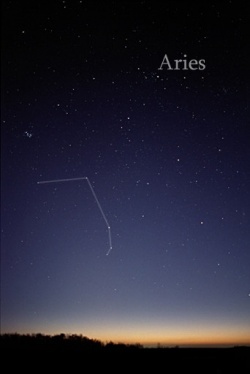 God's first Bible was in the skies, the Zodiac; it starts off and runs every age. The first, beginning of the Zodiac, is a virgin; that's how He come, first. The last figure in the Zodiac is Leo the lion; the Second Coming. Just before there is a crossed fishes, which is the cancer age; that we're living in now. There was a pyramid after that, Enoch, which testified exactly. We wouldn't have time to go into it, but, someday, by God's help, I'll show you, just exactly draws the dimension of the hour we're living. See? Notice, but this geographical measure now that we have, who dimensions are the same, doesn't necessary mean that it has to be a—a cube. Notice, this would answer Egypt's… or the Enoch's sign in Egypt. ↑ John F. MacArthur Jr., John MacArthur Sermon Archive (Panorama City, CA: Grace to You, 2014). This page was last edited on 22 August 2015, at 05:42.